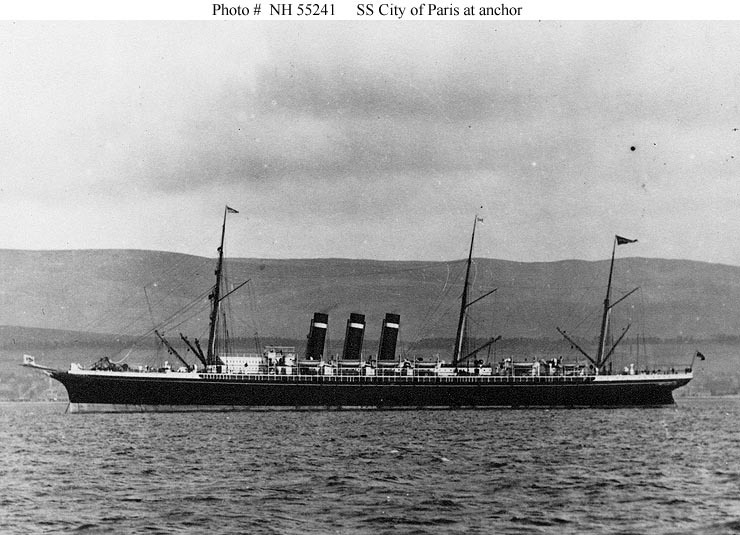 On 21st May 1899 the United States liner SS Paris, of New York, ran aground in misty weather at Lowland Point, near Coverack. 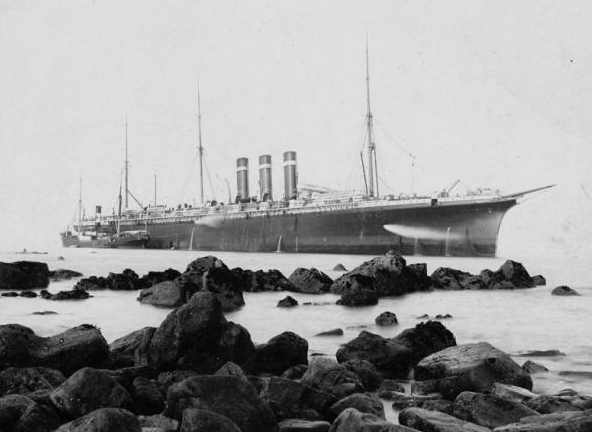 Bound from Cherbourg for New York with general cargo, a crew of 370 and 386 passengers, she was the largest vessel to have stranded on the English coast up to that time. The First Class Dining Room could seat 420 people, and its ceiling was adorned by a glass dome. 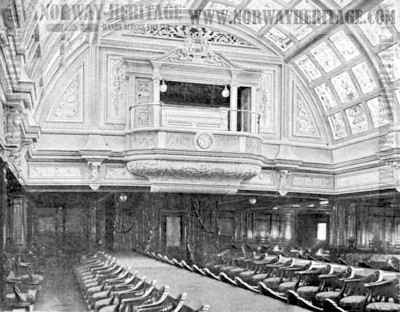 Furthermore, first class passengers could enjoy the comforts of the walnut-panelled smoking room or the library, complete with 800 volumes and stained-glass windows. For those who wanted a little privacy, the Paris offered 14 private suites, with a bedroom and sitting room done in Victorian style. The comforts on the high seas were unquestionable, at least in first class. Thankfully all the passengers survived and were taken off by the Porthoustock and Falmouth lifeboats and then transferred by tugs to Falmouth. After a tricky salvage operation, the Paris was pulled off the rocks by a fleet of tugs on 13th July and towed to Falmouth for temporary repairs. In November the same year she was towed to Harland & Wolff's Belfast yard where she was almost completely rebuilt and remained Philadelphia. In 1917 she became the United States armed transport Harrisburg and then, in 1925, she was sold to the New York-Naples Steamship Co for use as an emigrant ship. She was scrapped in Italy shortly afterwards. 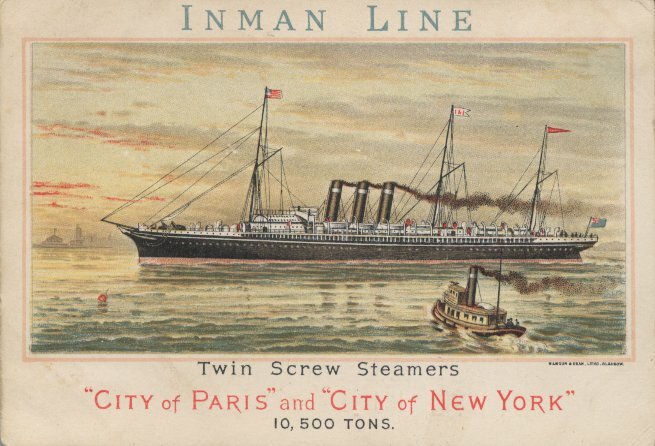 With a gross tonnage of 10,449, a length of 560ft and a beam of 63.2ft, she had been built by J & G Thomson at Clydebank in 1888 as the City of Paris for the old Inman Line. In 1889 she gained the Blue Riband of the Atlantic, making the crossing from Queenstown to Sandy Hook in 5 days 23 hours and 7 minutes. The village pub in Coverack, The Paris, is named after this shipping accident.